The real world is looking a lot more digital. With increasingly advanced software and the rise of the “sand box” gaming genre (video games that enable players to freely design their environments) has come a flurry of city building simulators. Beginning in 1989 with Sim City, these games have allowed players to architect their own city, virtually constructing anything from roads and bridges, to parks, shopping malls, and skyscrapers. Not surprisingly, with the capacity to create futuristic, functional, and realistic looking cities, the popularity of these games has grown exponentially. While strictly classified as video games, city builders and “sand box” games are having a major impact on real world urban design by inspiring dialogue and educating individuals on how to create sustainable cities. 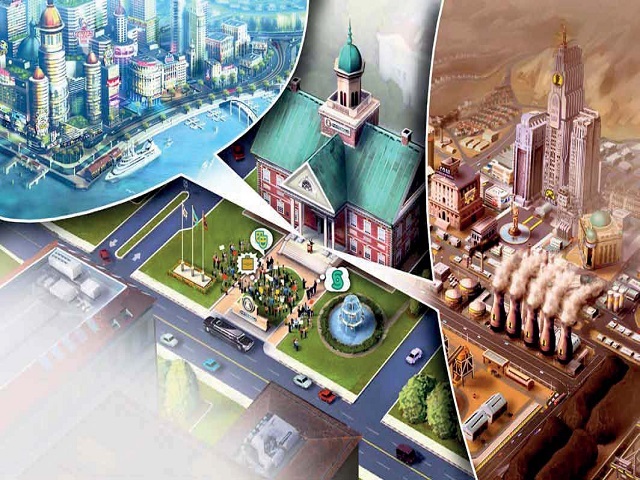 While the primary objective behind these city building games is to offer players an entertaining experience, gameplay also pushes gamers to learn about how cities work. In many of these games, players must balance transport, industry, crime-prevention, and energy consumption with economic growth, or risk losing everything. Placing industrial parks too close to residential neighborhoods, for example, harms health; while poor design in roads, infrastructure, and investment creates congestion and stifles growth. Of course, playing these games alone does not make one into a city designer or urban planner. Rather, these games offer players a chance to think about and be rewarded for pursuing sustainable approaches to city design. Indeed, the majority of these games encourage players to forge cities that run on renewable energy and prioritize quality of life. And, as the gaming market continues to grow, so does the opportunity to spark conversations about sustainability and educate individuals about the basics of good urban design. Perhaps these games’ greatest and longest lasting impact is their ability to generate dynamic communities. Both urban planners interested in teaching tools as well as gamers looking to improve their skills have reached out to one another online. There are countless websites and forums dedicated to discussing these games, connecting two communities who would otherwise remain disconnected. Online, players discuss real world problems, share research, and collectively brainstorm how to build successful virtual cities. At the very least, city building games are starting conversations and fueling passion around sustainable urban planning. Cities: Skylines simulates a life for every citizen that comes to live in the player’s metropolis (or quaint town, depending on a player’s skill). Citizens take a variety of routes into town, hold independent jobs, and have varying purchasing power at markets — each individual impacts congestion and the economy uniquely. The game also allows players to implement various policies—such as whether or not to charge for mass transit—and allows players to create industrial parks, office areas, and residential zones. Since its release this year, it has been rated by some as the best and most realistic city builder game to reach the market. But does Cities: Skyline’s realism, extraordinarily complex engine, and educational capabilities make it useful for practicing city planners? No—not yet, at least. Cities: Skylines impressively simulates real urban environments, but some critical details are left out, such as dedicated bus lanes, bike lanes, construction time, socio-economic lines, and any measurement of decay over time (people do age, but that’s it). The game does, however, allow users to modify its code, introducing features that game developers did not initially think of or have time to introduce. 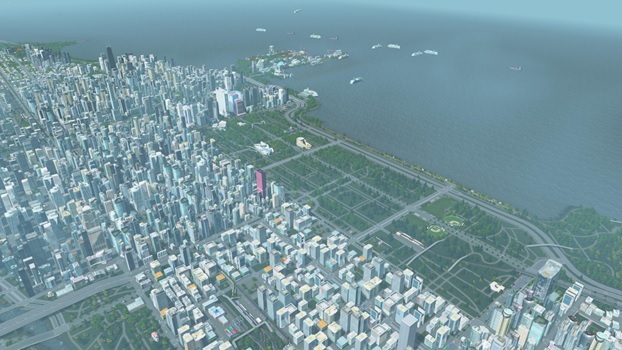 Users are already beginning to tap into the potential of the game for real-world applications, creating modifications (mods) that permit players to export their in-game cities as real world maps that can be read by open source mapping software. Conversely, it is also possible to import real world maps into the game. While urban designers and planners are a way off from integrating these games into their work, the future of city building games appears extremely bright.